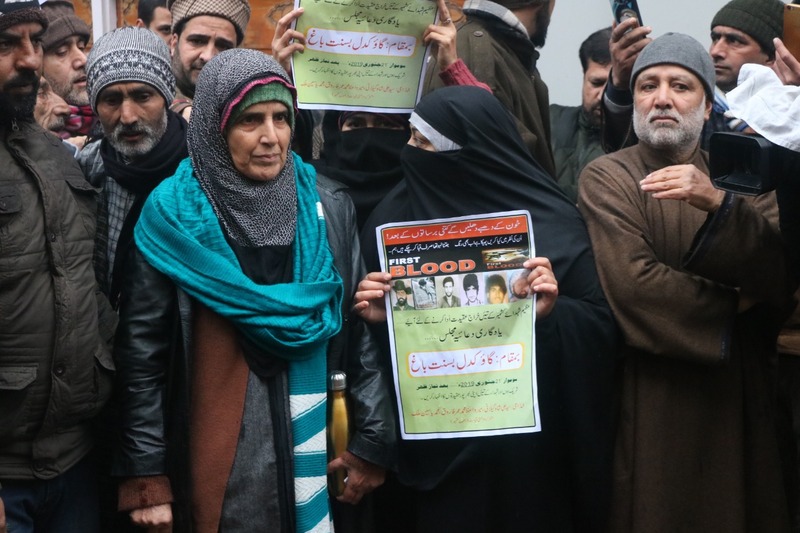 SRINAGAR, Jan 21: The life in city centre Lal Chowk and its adjoining areas were completely affected on Monday due to a strike call forwarded by Joint Resistance Leadership to remember the Gawkadal massacre victims on their 29th anniversary. On Jan 21, 1990, more than 50 civilians were butchered by Para-military troopers CRPF in Gawkadal area of Lal Chowk. Shops and other business establishments remained closed in Lal Chowk, Budshah Chowk, Maisuma, Gawkadal, Residency Road and Abi Guzar area. Private vehicles plied on road normally though skeletal movement of people were observed on the roads. Authorities had deployed heavy contingents of police and Central Reserve Police Force (CRPF) in Lal Chowk and its adjoining areas to thwart any protest demonstration. According to a local news agency CNS, Jammu and Kashmir Liberation Front Chairman Muhammad Yasin Malik was detained in wake of the shutdown. He was supposed to lead a protest in the area. A large number of people including activists from Joint Resistance Leadership amid restrictions assembled near Gawkadal and paid rich tributes to the massacre victims.